This website is no longer being updated! If you are teaching English, learning English, interested in China or want to see photos from China or the USA, then you have come to the right place! 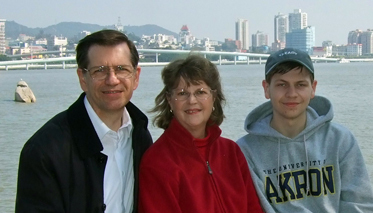 Michael & Vivian Krigline, along with son Andrew (visiting for Christmas 2011, from his university in Ohio); beautiful Xiamen is in the background, with Xiamen University's tallest building right in the center. 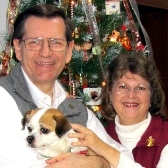 Michael and Vivian became grandparents in December 2010, and again in June 2012! As of January 2015, I will no longer update this FrontPage-based website. INSTEAD, I'm slowly moving content to EFLsuccess.com (for EFL/learning content) and wp.krigline.com (which will eventually become the new www.krigline.com) for inspirational and "family" stuff. See "January 2015" update for more information...or visit my newer websites!! Resources has resources for English learners and teachers, including movie study guides and holiday handouts; (under it) Student Connection gives you an index of things my students might be looking for. Links has links I use frequently, and Learner Links can take you to lots of places on line to practice your English. Things We've Written has inspiring and informative articles. You'll also find EFL articles in the sub-menu under Student Connection. Special Features has fun stuff like free wallpaper and a link to my music. Real World has resources related to my textbook: Successful Writing for the Real World. Important: technical problems are common--sorry! 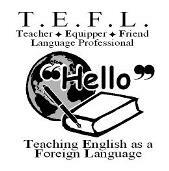 Michael has been teaching English in China since 2000; in 2014 lecturing at Xiamen University. About us: This is the personal website of the Krigline family: Americans who have been "teaching and learning" in China since 2000. All photos and materials are © 2014 Michael Krigline unless otherwise noted. We maintain this site primarily for the benefit of our friends in China, and to provide our friends around the globe with a taste of China--in the hope of building greater understanding between the people of the West and the East. Regarding .CN: We have created a China-based version of the website so that the pages will load quicker for our students in China. See "use policy" for more information.